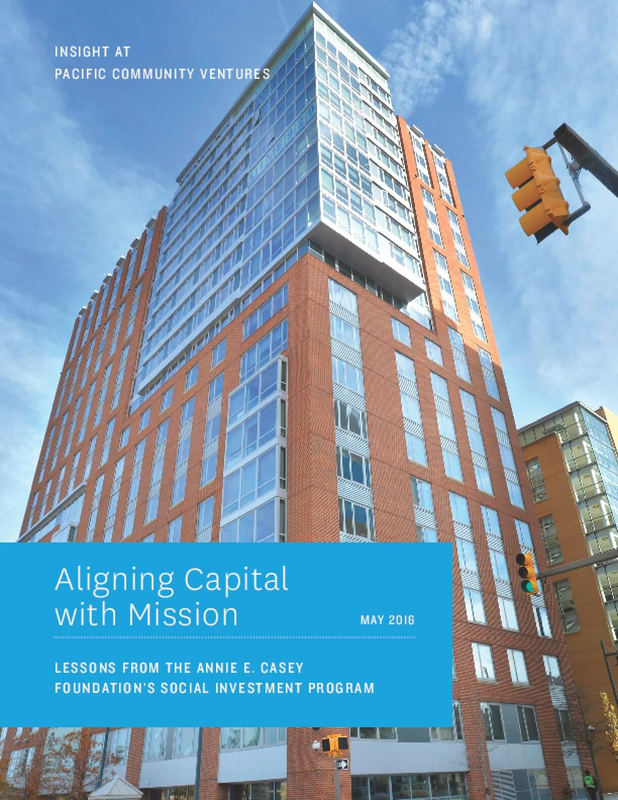 The Annie E. Casey Foundation engaged InSight at Pacific Community Ventures to conduct the first comprehensive third-party evaluation of the SI Program, with research support from the Center for the Advancement of Social Entrepreneurship (CASE) at Duke University's Fuqua School of Business. The evaluation focused on the social impact of the SI Program and its impact measurement practices, and had the following objectives: ə Provide a comprehensive review of the social impact that has been achieved to date through the SI Program. ə Assess the systems and processes used by the SI Program to measure and report on its impact, identifying the SI Program's strengths in impact measurement and areas for improvement. ə Surface evidence-based findings and lessons that can assist the Foundation and other investors in rigorously examining and enhancing the social impact of their investments, in order to support the continued development of the impact investing field.